motivate and challenge his audiences. Ruben’s an outstanding storyteller with an incredible story. He delivers an idea-packed, energizing and humorous program that not only informs, but inspires people to take action. Your audience will laugh and be entertained as they learn proven success principles anyone can use to obtain maximum results. Your people will learn insights that will help them gain a competitive advantage both in their career and in life. Insights that will help transform their workplace performance. After listening to Ruben’s remarkable story of success against all odds, your people will believe more in themselves, which will lead to them taking more action and showing more initiative. More action leads to better results and better sales, which in turn will make your people feel better about themselves. Overall, what you’ll see after bringing Ruben to speak for your group will be better morale and higher productivity and performance for your organization. 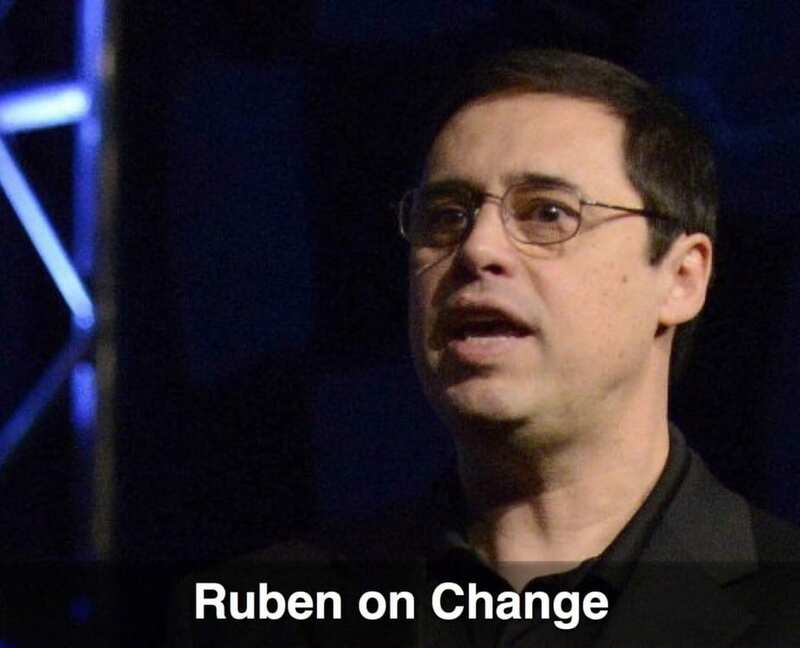 Ruben has diverse experience in working with all sizes and types of audiences from small sales groups to delivering major keynote programs to audiences of thousands. 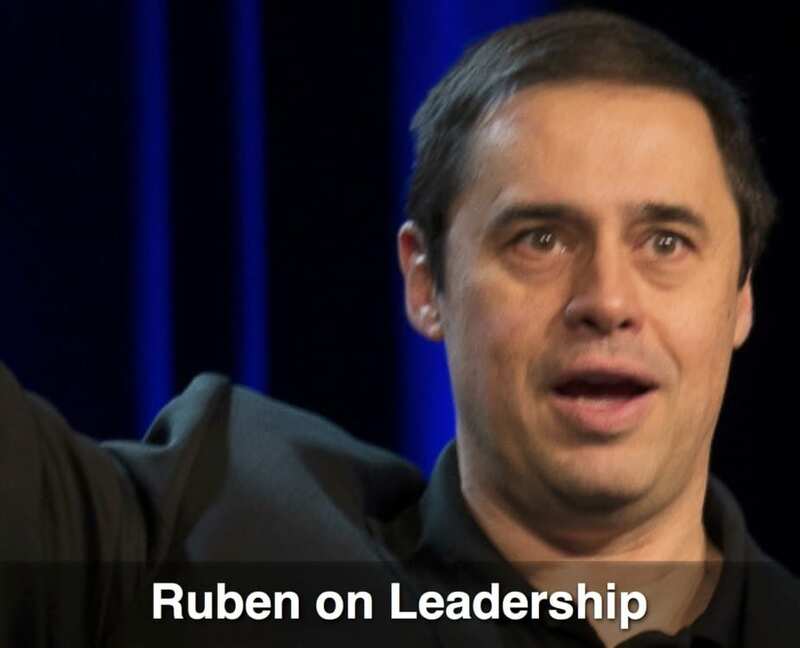 Ruben’s dynamic, enthusiastic and genuine style allows him to easily connect with CEOs, senior management, entrepreneurs, salespeople, support and front-line staff. Let’s face it. The speaking circuit is flooded with theorists. People who have textbook knowledge but no practical knowledge. Then, there are the successful celebrity speakers who can’t explain how they became successful. 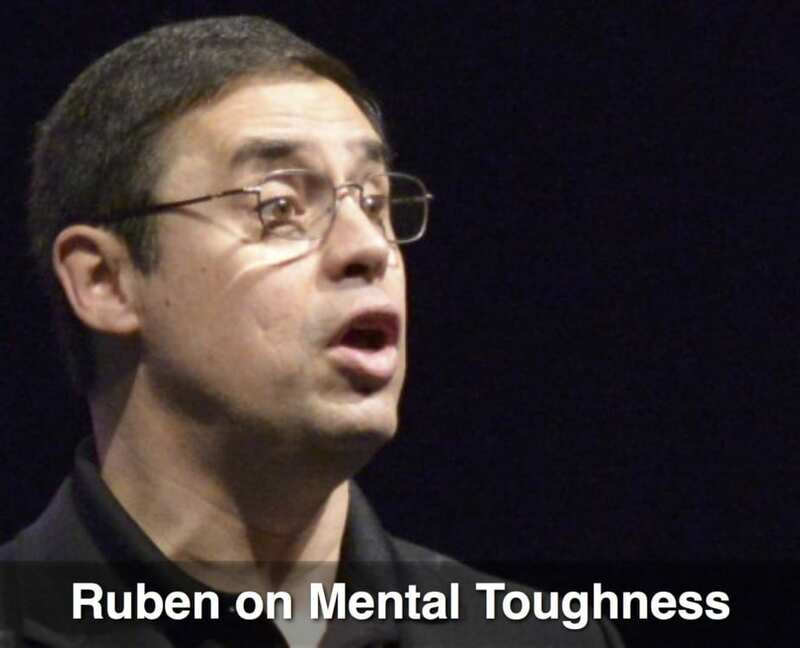 Over the last 30 years, Ruben has read hundreds books on success, sales, psychology, personal development, and peak-performance. 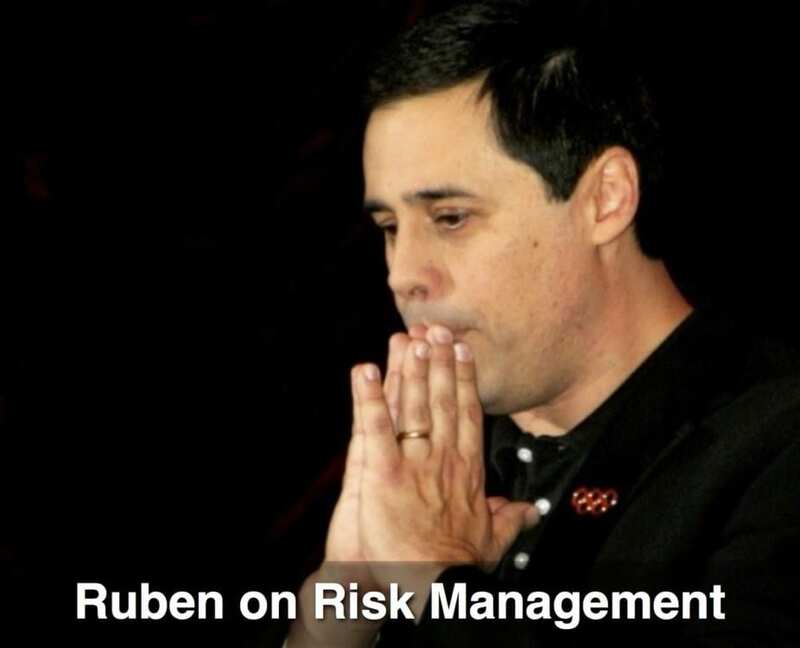 Then, Ruben applied his knowledge to create incredible success in several fields. 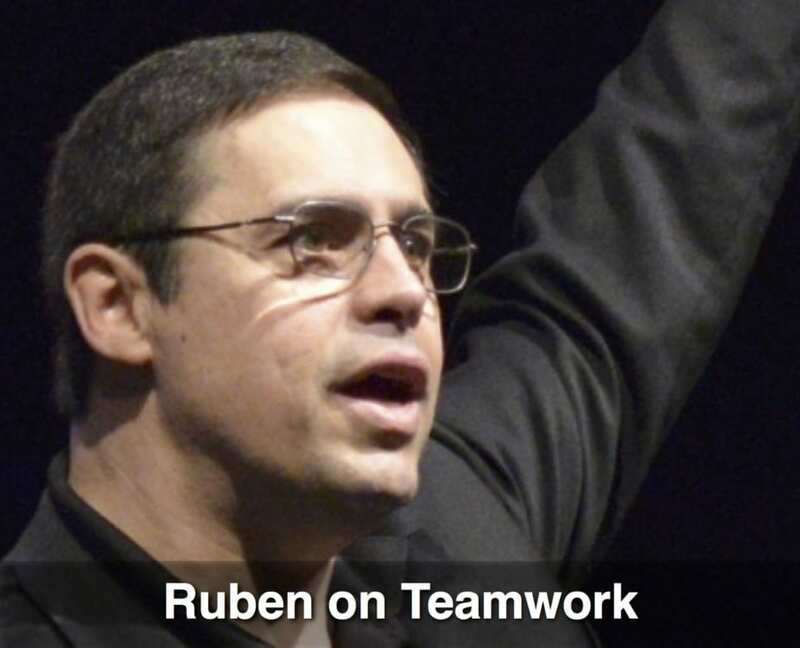 Because Ruben has been a student of success for 30 years, he can explain the principles of success to his audiences. He breaks the success principles into easy to follow steps. His achievements give him the credibility he needs to get his audiences to buy into his success principles. 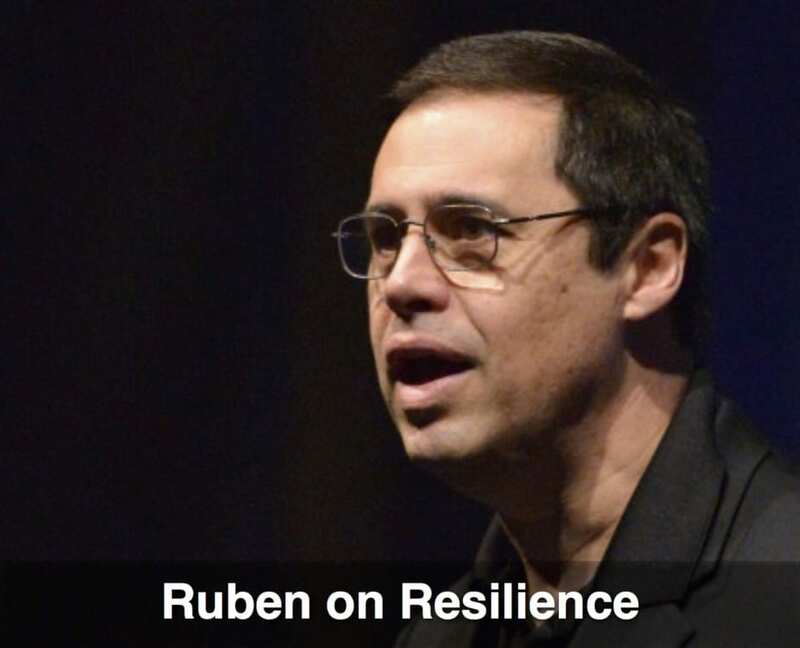 Ruben is the author of several books including the critically acclaimed book “The Courage to Succeed,” which has been endorsed by Stephen Covey, Ken Blanchard, Zig Ziglar, Brian Tracy, Denis Waitley, and many other personal development experts. Ruben was invited to share his personal experience in the movie “Pass It On,” along with several of the world’s top success experts including Brian Tracy, Denis Waitley, and former CEO of Southwest Airlines Howard Putnam. “Pass It On” is a ground breaking film about how anyone can change their personal or professional life by following universal success principles. Ruben is a common man who accomplished some uncommon things. He became a four-time Olympian in spite of not being a great athlete. In fact, all his life when kids were picking teams in P.E., Ruben was always the last kid picked. Ruben’s incredible story takes people’s excuses away. People actually buy into what Ruben says because they can relate to him. And isn’t that what you want? For your people to start applying some proven success principles so they can be more productive and get better results?